Sofia Huerta celebrates scoring her goal. Sydney FC can avenge their 2018 W-League Grand Final heartbreak next week after their semifinal win over Brisbane. 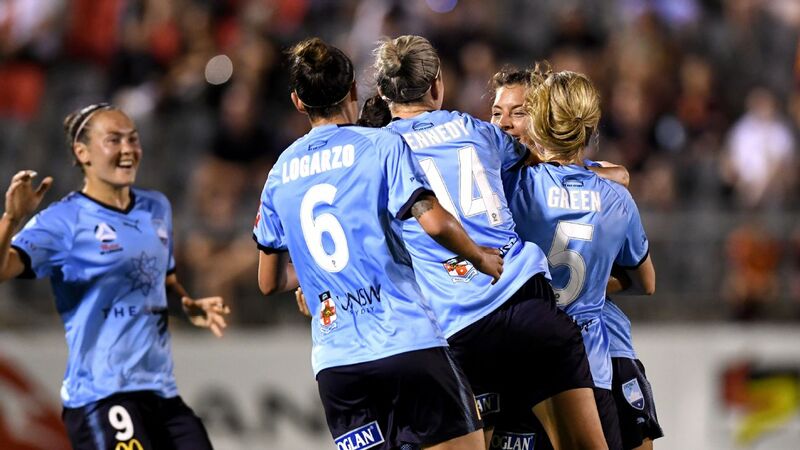 The Sky Blues booked a home grand final against Perth with a 2-1 win over the Roar on Sunday night at Dolphin Stadium in Brisbane's north. 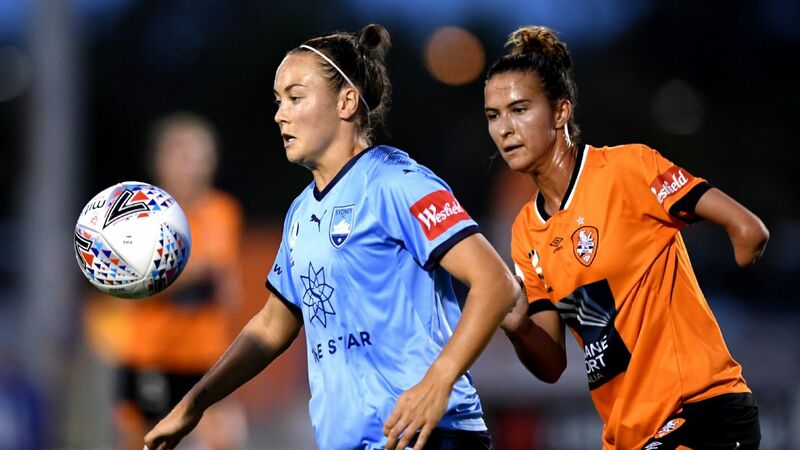 Goals in either half to Caitlin Foord and Sofia Huerta secured the win despite a late strike by the Roar's Japanese star Yuki Nagasato which made for a tense final few minutes. Ecstatic Sydney coach Ante Juric said he was delighted to be getting the shot at grand final redemption after last year's 2-0 loss to Melbourne City. "Very happy and two years in a row is nice -- we're gonna win it this time," Juric said. "These opportunities don't come round all the time so you want to take it." Sydney will host the decider against Perth at a venue and date to be announced on Monday by FFA. The Glory were fired into the grand final by a Sam Kerr hat trick in a 4-2 extra-win win over premiers Melbourne Victory. 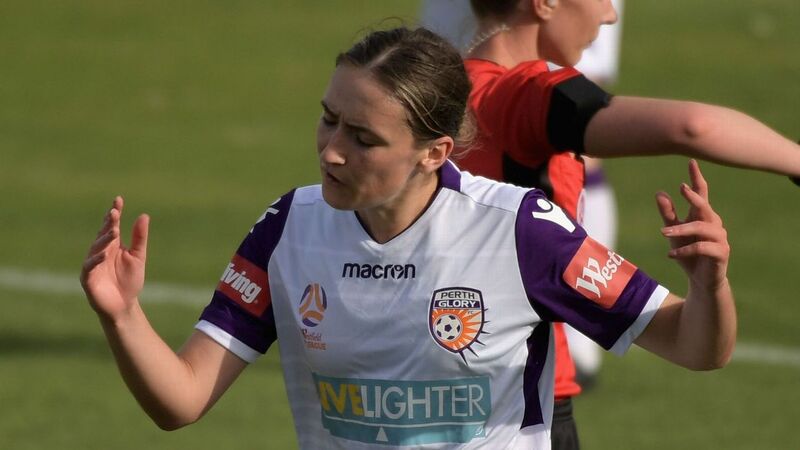 The Roar's hopes of a comeback took a hit when full-back Natalie Tathem saw red for pulling back Princess Ibini just outside the penalty area in the 79th minute. Despite going a player down, the Roar found the net through Nagasato in a dramatic finish. They couldn't find an equaliser in the remaining minutes, falling in a home semifinal for the second year running. "We're disappointed. It's a different feeling from last year," Roar coach Mel Andreatta said. "We were in situations there where we could have taken the game, or got back in the game and then taken it, but it wasn't to be and they're a very good side. In the end, they deserved the result."